The Army continues to develop bionic underwear that will protect soldiers from injuries and reduce the burden of hauling up to 100 pounds of gear on patrol. 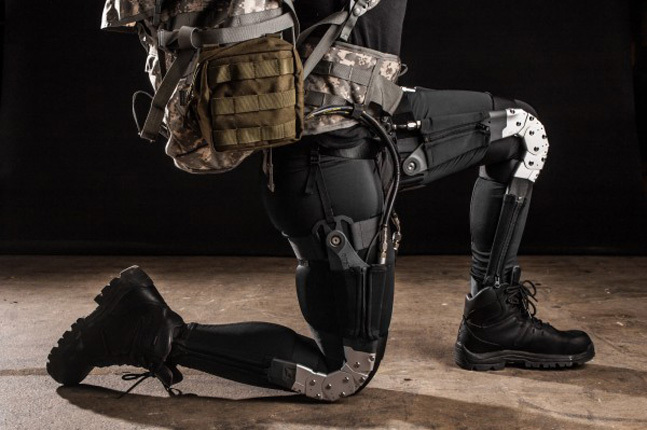 The Army continues to work to develop bionic underwear worn at the ankles, hips, knees and upper body that will protect soldiers from injuries and reduce the physical burden of hauling up to 100 pounds of gear on patrol. The Defense Advanced Research Projects Agency (DARPA) seeks to build upon the work of scientists researching the technologies that can augment muscles in the human body.